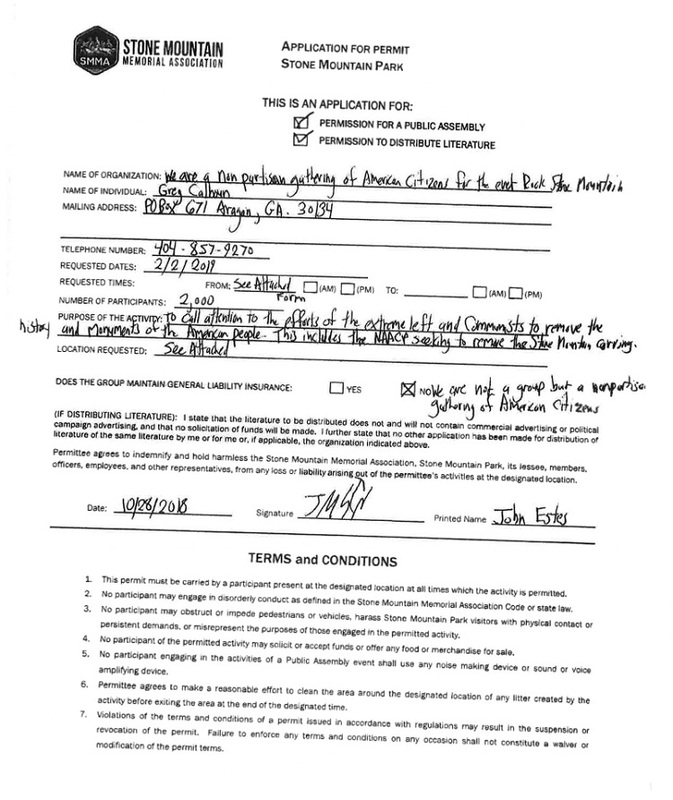 In denying the permit for February 2, 2019, the Memorial Association cited anti-racist protest at the park during the initial “Rock Stone Mountain” of April 2016. 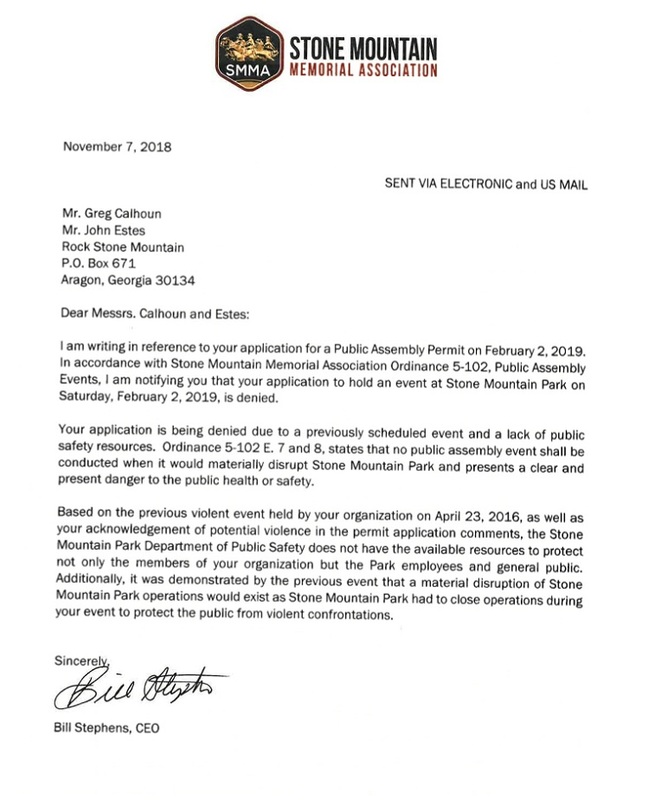 The 2019 permit application makes clear that neo-Nazi John Michael Estes and KKK leader Greg Calhoun are the primary organizers for “Rock Stone Mountain II,” as we stated in an earlier article on the rally. 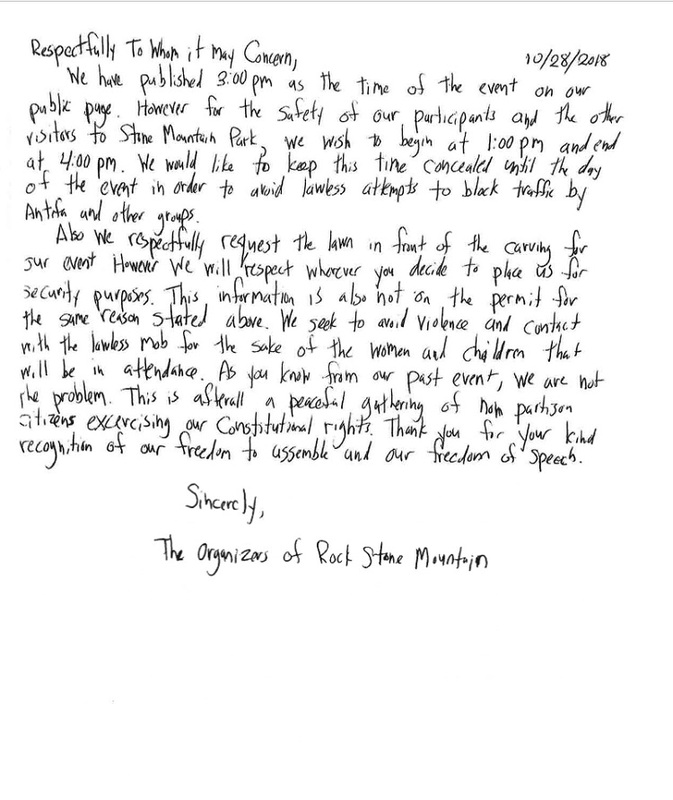 Interestingly, the “Rock Stone Mountain II” permit application shows that organizers were trying to plot with Stone Mountain Park to conceal the actual start time of their February 2 rally, attempting to get the jump on any anti-racist protest. Continue to watch this space for details on February 2nd. 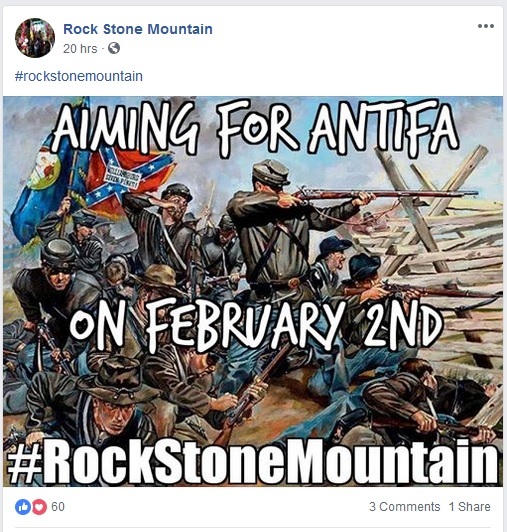 In the meantime, please get in contact if you have further information on Rock Stone Mountain II organizers or attendees, as well as other white supremacists in our area.